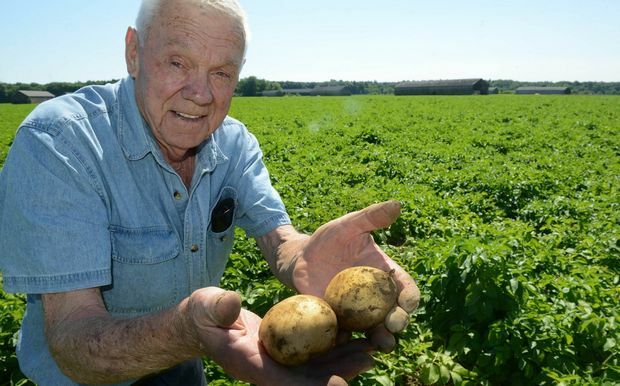 Founded by John Rupert Szawlowski in 1910, Szawlowski Potato Farms, Inc. is now one of the largest potato farms in New England. With 5,000 acres of Round White, Red, Gold and Russet potatoes under production in the fertile Pioneer Valley of Massachusetts, we offer local potatoes to customers throughout the northeast from July through December. 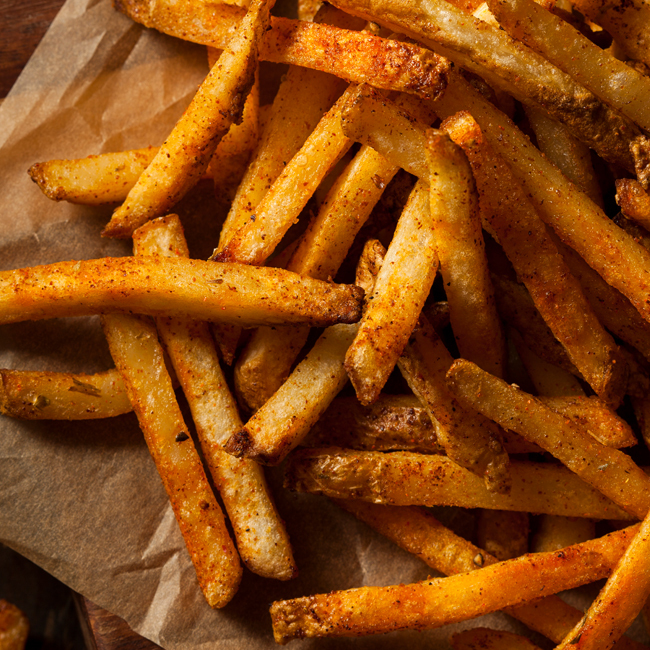 In addition to offering our Massachusetts-grown crop, we source and pack product from growing partners across the country, providing quality potatoes to our customers year-round. Our state-of-the-art packing plant and cooling facility enables us to pack in any size paper and poly bag, bins, bulk totes, cartons, and bulk truckloads. 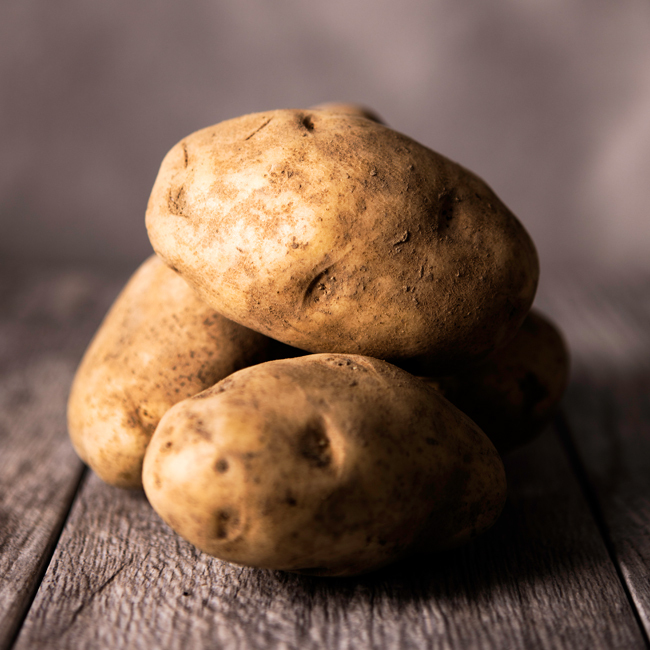 We distribute our potatoes to supermarket chain stores, wholesale distributors, food service distributors, food banks, and food processors throughout the eastern United States. Our full-time Supervisor of Environmental Safety ensures compliance with industry-wide Food Safety and Traceability standards throughout our fields and packing facilities. Our family has worked hard for over 100 years and takes pride in providing the quality and dependability that is expected from our customers. SWAZ Potato Farms is located in a prime geographic region for distribution to all our customers in the Northeast, which helps to minimize our carbon footprint in terms of transportation-related fuel emissions. We deliver locally-grown potatoes that are fresh from the field to some of the country’s most densely populated regions including New York City, Boston, Hartford and the metropolitan areas of each of these cities. Our fields are in the Connecticut River Valley, the home of New England’s longest river which was formed during the ice age and is characterized by some of the richest soil on earth. And our family-owned business provides personalized integrity in every step of the process, from growing to packing and shipping, and – most importantly - to the one-on-one customer service that has been a hallmark of our business for over a century.